If you were hoping for some changes to be made to the full game after the BETA you may be left disappointed. With the Destiny BETA being one of the most successful BETAs to go LIVE it's no wonder huge changes won't be made. Earlier this week on a call with Activision Blizzard investors, the publishing CEO Eric Hirshberg said that "the BETA was the biggest yet for a new IP." He then continued to say "we were able to test everything at scale and everything held up well. I don't think it's an overstatement to say that feedback was nearly universally positive." Bungie learned quite a bit from the players combating in the BETA. Nothing is more important to Bungie then the feedback from its loyal customers. They are making tweaks and minor changes as they did after hearing feedback from the ALPHA. Eric Hirshberd did not going into great detail about the minor changes and tweaks, but left a pretty good impression that the finished game would not be different from the BETA by saying "I would describe these as tweaks and not major changes as we saw the fundamentals of the game to be very strong." With the launch of Destiny just a little over a month away, it's not a real shocker that they are not going to do a major overhaul of the game. If you were not happy with the game play, character movement or physics then it looks like you're going to have to hold your hopes up high and see if they change anything in a possible sequel. 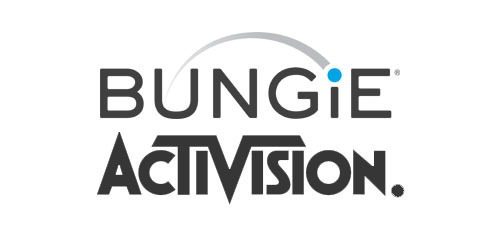 Bungie did sign a 10-year deal with Activision after all. Bungie being pretty slim pickings about the details on what these tweaks and changes are it looks like we will have to wait till the September 9th launch. However, a Bungie Weekly Update just rolled out recently on their website stating a few minor tweaks like blast radius of the rockets being reduced and the Interceptors rate of fire also being reduced. As stated last month more then 4.6 million players joined in on the BETA playing about 88 million games. It's no surprise Activision has nothing to be worried about come launch date. As said before Activision is saying Destiny is going to be the best selling new IP ever! The company also mentioned that even though Destiny is in the same genre as their other hit franchise Call of Duty, there is still room for both franchises to be successful. What else do you think Bungie might throw at us when we pick up our copies on launch day?